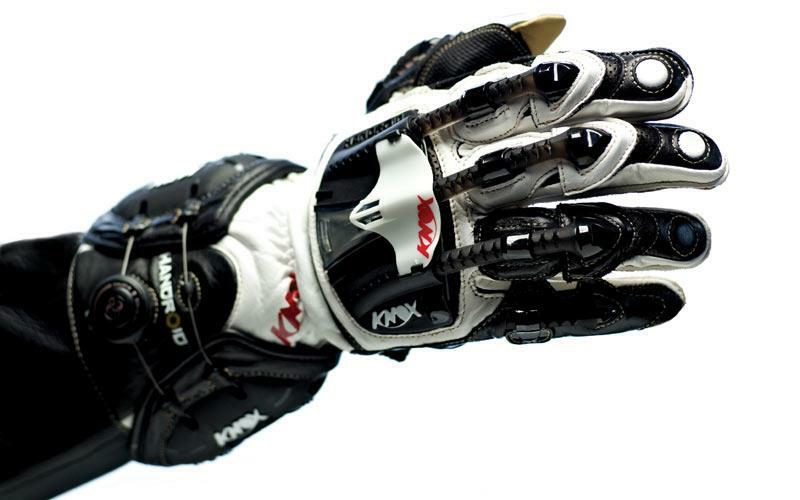 British Superbike title contender James Ellison has chosen Knox Hand Armour to help his bid for the 2010 crown. The 29-year-old Cumbrian has used Knox back protectors throughout his superbike and MotoGP career, and will be wearing Knox Handroid to help keep his 2010 campaign - with the Swan Honda team – on track this season. The Handroid includes unique exoskeleton finger and metacarpal protection, a sport profile version of Knox’s Scaphoid Protection System and the exclusive BOA lacing system, which uses an innovative cable closure system to offer the perfect fit. Innovative honeycomb gel impact protection on the back of the hand and the knuckles, plus wrist guard shrouds, complete the range’s protective properties. Due to go on sale in March, Knox Hand Armour will be available from all authorised Knox retailers. Call 01900 825 825 or visit www.knox-lab.com for details.